The Global Leadership Summit 2014, 20 years and counting…. As the summit opened with Bill Hybels speaking at the 20th Global Leadership Summit Hybels reminded everyone that when he started the summit he truly believed that, “Everything rises and falls with Leadership.” He challenged each of us that we need to understand that God treasures people more than visions and be wary of losing that understanding. He offered some tips to work on this issue. 1. Use an outside objective firm to evaluate the company. 2. The Executive Team needs to take advantage of the information and help understand their working culture. 3. People Management. With this one we need to comprehend that some people can’t manage people. The culture will never go to the next level unless we love and care for each other in the organization or team. 4. Reviews. A quote from Jack Welch who is the former President/CEO of General Electric said that “the kindest form of leadership is the truth.” Then Hybels continued and mentioned to the crowd that we need to become legacy leaders. He challenged everyone if Nelson Mandela can leave a breath taking legacy you can too. “We only get one strike at Life.” Hybels mentioned. Remember it doesn’t matter about the day you were born or the day you went to heaven, the dash mark on your tombstone is your legacy. So what are you going to leave behind as a legacy leader? Session three started with the quietest faculty member, Susan Cain who is an introvert and has spoken at TED Conferences across the globe. She believes that in every organization we need to have introverts and extroverts. She inspired people in the room saying, “We need to let that small voice back into an organization. 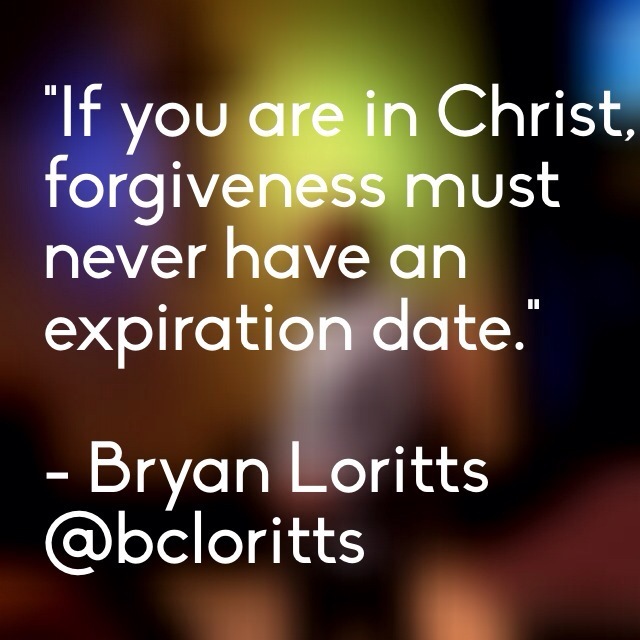 “ To finish our session we heard from Bryan Loritts who the pastor at Fellowship Memphis. His goal for his church is to reach all diverse people because the south in Tennessee is still very segregated on Sunday mornings. One of his thoughts he shared with us is that, “It’s about the Fruit of salvation not the root of salvation.” Something for you to think about. Day one was good, but day two of the summit was greater! It started off with someone I hadn’t know of before, his name was Joseph Grenny. He is the co-founder of VitalSmarts and a social scientist for business performance. He talk was about having those crucial conversations in a business, a church, or even with a friend. He believes that the crucial moments are there a few moments that matter most. One of his big ideas he shared, “the principle of what crucial conversations you are either not holding or not holding well.” This goes into his idea of how crucial conversations arise. First, having different opinions with a coworker or even a boss. Second, the stakes are high as if the company may have to close their doors tomorrow or have that crucial conversation to keep the doors open. Lastly, strong emotions come into play whether it is with someone specific or with a strategy of what the company executes. One of Grenny’s best quotes from the summit says, “It’s a myth that you have to choose between telling the Truth and losing a Friend.” Think about it. If you are able to address those high stakes, put aside the strong emotions, and instead of looking at opposing opinions you look at it as two opportunities to execute, anyone will be able to have that crucial conversation with someone. Joseph Grenny did have many more points to make, but I urge you to check out his book Crucial Conversations which I just added that to my reading list. Up next for the summit was Erica Ariel Fox a New York Times Best-selling author and President of Mobius Executive Leadership. Her point is that before you are able to negotiate with someone you need to know how to negotiate with yourself. We all have this performance gap between what you actually do and what you’re full potential is. You need to search for that performance gap and once you have start to close it step by step. Also she pointed out that most people look at themselves as singular instead you need to look at yourself as an orchestra not a soloist. So what makes up the orchestra within you? First, you have the Dreamer, they are the visionary person within you that acts like a CEO. Second, the CFO or known as the Thinker which is the evaluator of all the risks you are about to take. Third, the Lover or known as the Human Resources inside you which shows what you care about. Fourth, you have the Warrior which is the COO which isn’t afraid to tell the hard truth and takes action. The next session was hosted by Bill Hybels on achieving a Grander Vision with multiple speakers and performances. Don Flow the firs speaker talked about serving which looks like this. Show Respect, Earn Trust, Reach for Perfection, Value Impact, and Energize others. After Flow we had Allen Catherine Kagina who is the Commissioner General of the Uganda Revenue Authority. She has one tough job, but she used the power of God to transform the revenue authority to being an authority of leading by example. Kagina’s bottom line was, “Once you bring God into the marketplace, he doesn’t know the difference between church and politics.” Then we finished off with Pastor Choco, please look him up and you can see the fire of faith burning inside him when you see one of his sermons. After session six we then heard from Ivan Satyavrata who serves in India as a Senior Pastor. I would also encourage you to look him up on the web to see how he is impacting a country of about 1 Billion people in India. Session eight was not closed out by Bill Hybels this year, instead it was Louie Giglio who is the Senior Pastor of Passion City Church and the Founder of the Passion movement to engage college students for Christ. Giglio opened the final session by thanking Hybels for his strong belief in the local church and his love for Christ. He said that “All the Glory goes to God, but the Honor goes to the People” and that is who we honored, Bill Hybels. Giglio challenged everyone to identify the biggest mountain you have to climb just like the mountain you see as the Summit logo. “You don’t need to know how to get all the way to the top of the mountain, you just need to take the next step,” said Giglio. If you have the Faith you will be able to take that next step toward the top of the mountain. He puts it by saying, “Life is Short, God is Big! God is able to do anything!” The next steps. #1 you can do it! #2 you can’t do it unless God is in it! #3 the hardest step which is the unknown. Giglio reminded everyone that, “there’s a lot of great leaders at the summit but there are no saviors. There is only one savior!” Bottom line is that you need to fall into the arms of Jesus to take that final step. So that is the recap of the Global Leadership Summit during its 20th anniversary Summit which was founded by Bill Hybels the Senior Pastor at Willow Creek Community Church. I hope you got a taste of the summit from my recap and I can’t wait for the Summit next year. This year’s summit challenged me to step up and have crucial conversations with people, give it all to God when achieving the impossible, and understanding that everyone wins when a leader gets better!